No business can survive nowadays without accepting credit card payments from customers, so owners of online businesses have to choose the right online merchant account and payment gateway from over a hundred contenders. What is an ecommerce retailer to do? Payment gateway services charge fees above and beyond your merchant account fees, but they are an important link in your chain of secure payment. You need to choose the best one for you…but how? When a customer provides their credit card number, the vendor must verify that the cardholder has enough money in their account to pay for the transaction. In a brick-and-mortar business, the verification is done via the POS credit card machine, which sends the information to Visa or Mastercard over phone lines to confirm that the customer has sufficient funds. In ecommerce transactions, however, the verification process is done over the internet using a payment gateway. Sensitive information is encrypted to make sure the information is transferred securely, and the funds are transferred from the cardholder’s account into the merchant account. The advantage of a payment gateway is that it facilitates transactions initiated through payment portals like websites or mobile phones. Payment gateways are often coupled with merchant accounts and processed through the same company. Basically, a payment gateway connects your website to your merchant account, but it doesn’t provide services like a shopping cart. Of course, the name Authorize.net comes up whenever payment gateways are discussed because it is the best-known gateway provider on the Internet. But being the most famous doesn’t necessarily mean being the best. As a web retailer with an ecommerce merchant account, you can do a lot better than Authorize.net, and here’s proof. 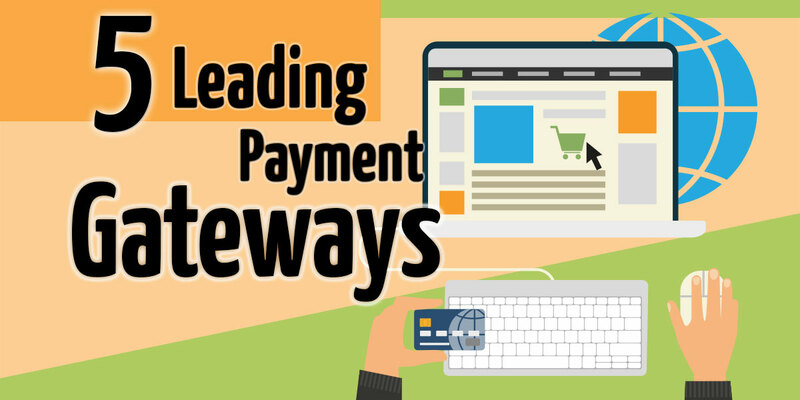 We present the top 5 payment gateways, and what each can do for your credit card processing. Payflow pro offers a host of backend security features to protect you from fraud, but they charge accordingly. If you choose Payflow Pro as your internet gateway for accepting payments, be sure to use Paypal for your merchant account processing as well. If not, you’ll end up paying a dime for each sale attempt, whether it’s approved or not. The NMI gateway is fast becoming the gateway of choice for medium to large businesses because it offers a load-balancing feature. A merchant can load several different merchant accounts into the NMI backend and the internet gateway will automatically direct each transaction into the appropriate merchant account. This feature really comes in handy if you’re a high-volume merchant. Gateway Merchant Services is the industry leader when it comes to flexibility, offering a merchant several options for processing credit card payments, all tailored to your specific needs. They are a leader in telephone authorizations, which you’ll appreciate whenever you have a computer glitch or terminal malfunction. Gateway allows you to accept some of the lesser-known credit cards like Diners Club, JCB cards and Fleet cards. Beanstream is an ideal payment gateway for start-ups and small businesses because there is no monthly minimum, and no long-term contract to sign. You can count on Beanstream for the best customer service, which is always live, no matter when you call them. That in itself is a real selling point for merchants who have experienced virtual merchant issues on a weekend or holiday. The people who run Cartconnect are determined to simplify virtual merchant accounts by using easier interfacing techniques and by removing redundant steps. Cartconnect has been around longer than most of the other payment gateway providers, working mostly in the larger arena of third-party secure applications for major industry. Many of their proprietary applications have been re-branded under different names. They now offer attractive merchant packages for small businesses, and it’s beneficial for new merchants to take advantage of Cartconnect’s decades of experience with credit card processing. There are more than a billion credit card holders in the world who are likely to purchase your product or service if your website or app is credit card friendly, and much more likely to add impulse purchases to their virtual shopping carts when they have easy access to their account.